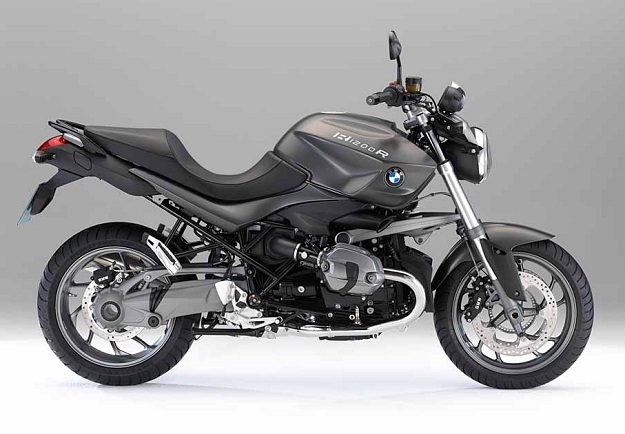 We sell a few brands for the Bmw R1200R but the Ohlins front and rear set has been popular and surprisingly affordable for all the features they have that others don’t, they are very well made. When comparing shocks, DIVIDED FLUID AND NITROGEN IS the BEST! 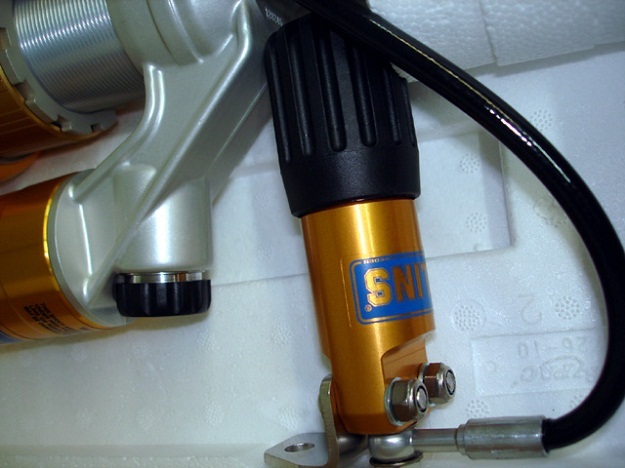 Like the Ohlins design they keep the fluid separate from the nitrogen via an internal FLOATING PISTON, VERY NICE! and a long lasting fade free design. Other brands don’t which is called an “emulsion”shock, you may as well shake up a can of Root Beer and put that in your shock for fluid because the fluid and nitrogen are mixed! 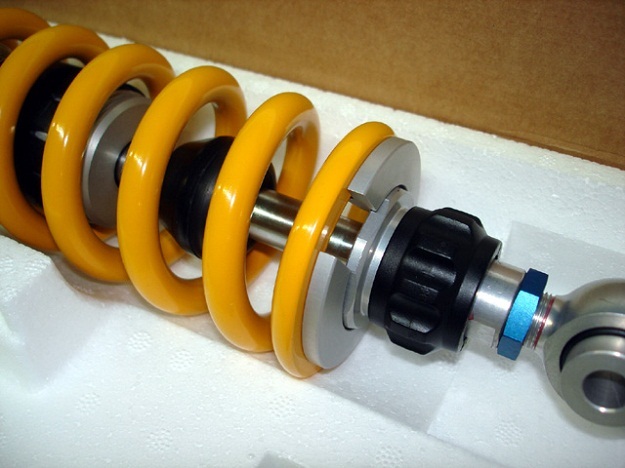 The newest Ohlins has all the updates, they have sold shocks for over 40+ years so these are not your grandma’s shocks. They feature 6000 series hard aluminum body for best heat dissipation compared to out dated steel tube designs that generate far more heat and wear like some others. They are custom sprung and preset ready to install out of the box with the longest manufacturers warranty of 5 years of any brand. 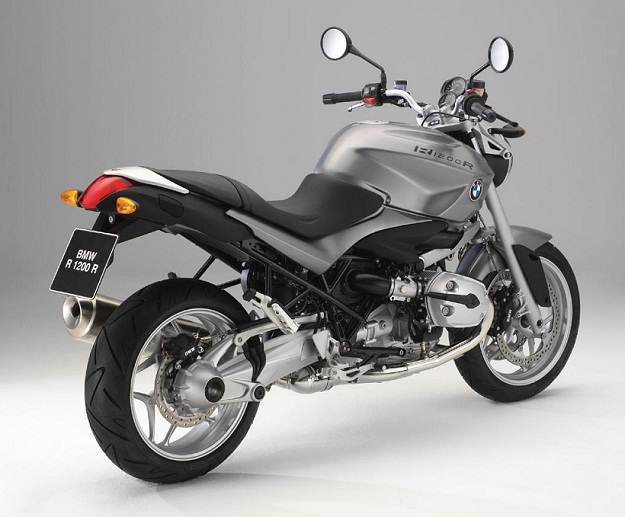 Both have divided fluid and nitrogen for fade free performance and long life with adjustable length while on the bike. 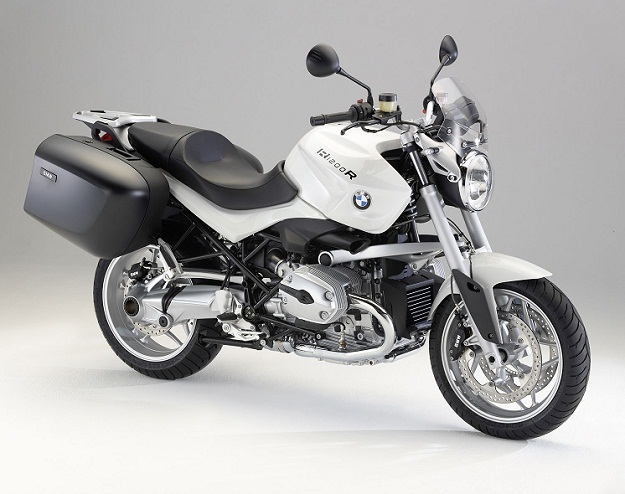 The rear Ohlins is a piggyback design with a large 46mm body and 16mm shaft. It has adjustable 45 click Rebound, 24 click compression and 22 turn Hydraulic remote spring preloader, adjustable length +12m shaft length (seat height effected differently). The heavy duty 46mm shock body and 16mm shaft are larger than most other brands. It cost more to make a “piggyback” casting reservoir shock but the advantage is simple by allowing any size passage they machine to let the fluid transfer back and both and be metered by the adjuster with it’s own valving and design. A “remote” reservoir shock (the ones with a hose to the reservoir) does sometimes limit the function of the shock by the I.D. size of the line, only so much fluid can get back and forth through the hose no matter what adjustment you stick out of the reservoir. 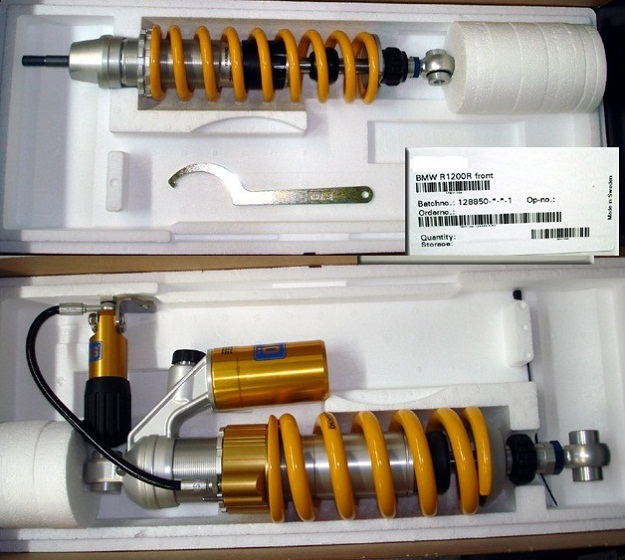 The Front Ohlins is divided fluid and nitrogen unlike the standard emulsion shock, it has 45 click rebound and spanner spring adjustment with length +8m/-2m shaft while on bike (actual ride height effected differently). 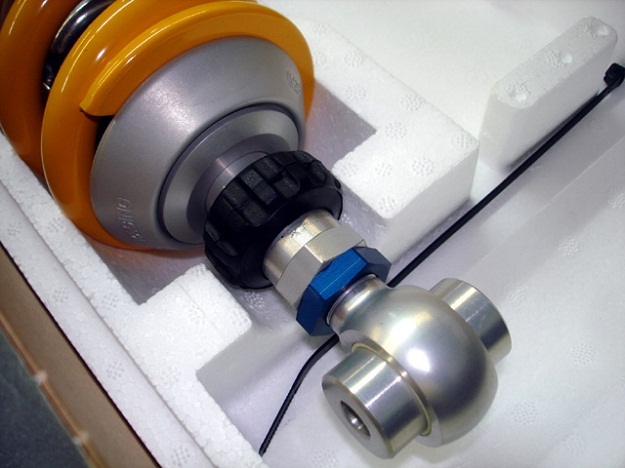 The Heavy duty 14 mm front shock shaft is larger than most other brands. This is the front shock, by loosening blue nut and turning silver part you can change ride height while on the bike. The black knob is the rebound adjuster that has about 45 clicks. The rear spring hydraulic remote preloader has about 22 turns to add or remove additional spring preload in addition to your baseline setting. The compression adjuster is the other black knob on the sliver slope to the reservoir shown above pic towards left. The rear shock has adjustable length shown with blue lock nut and silver stem without effecting anything else, the black knob is rebound adjuster with about 45 clicks of usable range. 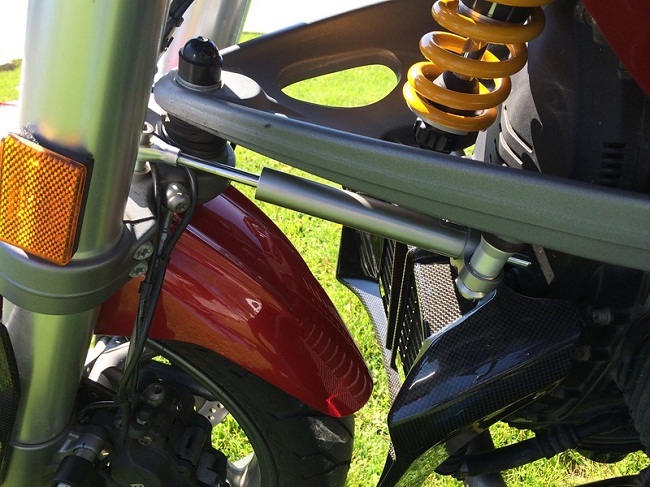 The rear spring preloader on the Ohlins shock is a nice feature when changing loading often, when adding as little as 20 lbs per side bag or a passenger, a few turns of the preloader works wonders. 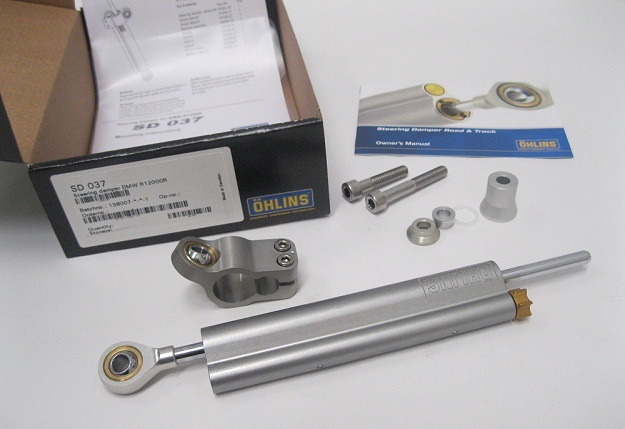 Above Ohlins SD037 Steering Damper, these are special Order kits while supply lasts and then will be NLA.